Paragon specialty products are available in a variety of sizes, thickness and formulations. We are always happy to customize products to meet your most demanding applications. 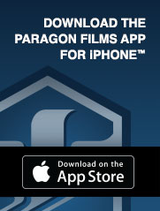 For product availability, please contact Paragon’s Customer Service Department at 1-800-274-9727. 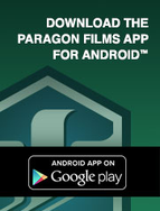 Paragon’s PET bottle film is a five-layer product manufactured using enhanced polyethylene resin and specifically designed for use in the container industry. PET film is ideal for wrapping empty containers, such as PET bottles and metal composit cans. Low cling properties allow the film to adhere to itself, while not sticking to cans, bottles or other wrapped pallets. PET bottle film is engineered for pre-stretch in excess of 200% and to run at speeds exceeding 30 rpm. In addition, the PET film will not crush, or cause ovalization, of empty cans or bottles. Cold Force® This high performance, puncture resistant stretch film is designed for maximum load containment and superior adhesive strength in cold environments.